Although Toyota is generally the king of hybrids, we're simply not happy with the real-world mileage we've seen in repeated drives of the Highlander Hybrid. We think with some very careful driving you can do better with the non-hybrid versions in highway driving. The 2016 Toyota Highlander isn't all that exciting to look at or to drive, but it's very versatile and handsome enough to be a great minivan alternative. Provided you don't plan to go off-roading and place priorities on comfort and frugality, the 2016 Toyota Highlander is one of the better three-row crossover utility vehicles on the market. The Highlander may look a little more rugged than it has in the past; yet it's still more closely related to Toyota's cars than to its rugged trucks like the 4Runner. The Highlander stands as a more civil, family-friendly alternative to the 4Runner or a more spacious alternative to the RAV4. There's a Highlander Hybrid, which continues to tease some very attractive fuel economy ratings; yet base inline-4 and mainstream V-6 models cost less, and they'll fit most family needs just as well, if not better. In its latest generation, the Highlander lineup has become a little more truck-influenced from the outside, with the maw-like grille and exaggerated wheel wells and sills offering more than a faint hint of rugged cues. Inside, the cabin is all car, although there are a few fine details borrowed from Toyota's trucks, some Teutonic-themed dash action, and a pleasing jumble of lines and textures. Most models will come with the 3.5-liter V-6, with 270 horsepower and 248 pound-feet of torque; it's also teamed up with a 6-speed automatic, but can be paired with either with front- or all-wheel drive. 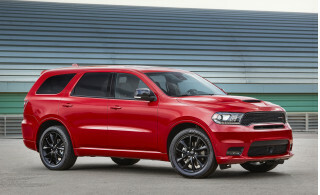 Even here, it's not the quickest choice in the class—you'll find a turbocharged Ford Flex or Dodge Durango V-8 is far quicker—but it's smooth, relatively strong, and surprisingly fuel-efficient. And this year all V-6 models include the towing package, for a 5,000-pound capability. The 2.7-liter inline-4 in base models is the same engine found in the smaller RAV4; it's adequate with a light load, but definitely taxed if you load the whole family in. V-6 models offer a choice between front-wheel drive and all-wheel drive. Hybrid models mate the V-6 with an electronically controlled continuously variable transmission (eCVT) and through-the-road all-wheel drive for a net 280 hp that feels only adequate, thanks to an additional 350 pounds of curb weight. 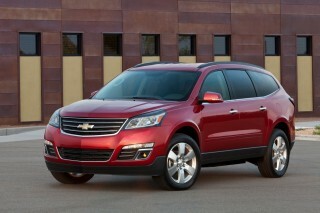 Additionally, its ratings of 27 mpg city, 28 highway, 28 combined are only a tease from our experience. In the Highlander's current generation, it drives much better, handles a little more athletically, and rides quite a bit more quietly than in previous iterations. The front-strut and independent-rear suspension are tuned for less lean and more ride firmness that doesn't lapse into Euro caricature. Electric power steering is now standard, and the all-wheel-drive system can ship around torque from front to rear when the vehicle's yaw sensors detect a more engaged driver. At 191.1 inches long, on a 109.8-inch wheelbase, the Highlander's stretched by 3 inches over the prior version, but none of it comes between the wheels. 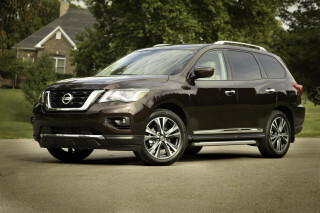 There's a half-inch more width, in what was already a fairly large vehicle—though one that's still noticeably smaller than competitors like the new Nissan Pathfinder. And a very useful tray now dominates the dashboard, allowing storage of small items like phones or purses—there's even a cord pass-through to connect electronics to the audio and power ports below. Depending on options, the Highlander can seat up to eight passengers, just like a minivan. The front row on all models features bucket seats separated by a large tambour-covered console. In row two you'll find either a three-person split-bench seat with a recline feature, or a pair of captain's chairs. The second-row bench seat does slide to improve access to the reclining third-row seat, which has 4.3 inches more width for better comfort but a dearth of head room. The third-row bench is handy to have, but it remains very small in all respects. There's a total of eight airbags in the 2016 Highlander, as well as a standard rearview camera. The IIHS calls it a Top Safety Pick+, and it's earned a five-star overall score in federal testing (albeit not with five stars in all categories). Among the safety options are blind-spot monitors, a lane-departure warning system, and parking sensors. Visibility is better than in the previous generation, thanks to repositioned pillars and bigger rear-quarter windows. The 2016 Toyota Highlander is offered in a very wide range of models, although there's a solid push to make the V-6 engine the bulk of the model line. If you want the four-cylinder engine, it's only in a most basic, price-leading model, while the Highlander Hybrid is only offered in top Limited or Limited Platinum AWD models. Limited Highlanders are equipped with 19-inch wheels; rear parking sensors, a blind-spot monitoring system; second-row captain's chairs; heated and ventilated front seats; a power front passenger seat; and premium audio. Above that, you can add the Platinum Package. As such, the Highlander Limited Platinum includes the Driver Technology Package (Safety Connect, pre-collision with adaptive cruise control, and lane-departure alerts with automatic high beams); a heated steering wheel, a panoramic sunroof, heated captain's chairs, and (added for 2016) rain-sensing wipers. The least expensive Highlander, the 4-cylinder model with front-wheel drive, doesn't fare much better than a Ford Flex with a V-6, though, because the slightly underpowered engine has to work hard to move the Highlander's significant mass. The base Highlander is rated at 20/25/22 mpg. Highlander V-6 models are the best bet, practically speaking, as they come with either front- or all-wheel drive and while they only manage 19/25/21 mpg in front-wheel drive form or 18/24/20 mpg with all-wheel drive. 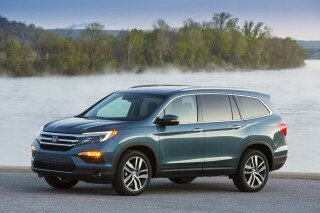 The Highlander's exterior follows a familiar form, while the interior's caught up to key rivals. 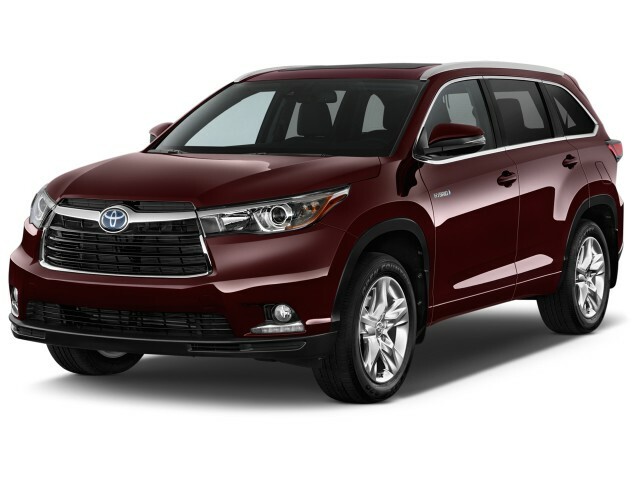 The 2016 Toyota Highlander continues with a look that's perhaps a little more SUV-influenced at first glance, yet far softer inside, and with respect to the details, than this model has been in the past. The Highlander remains in the gray area between SUVs and more rakish crossover wagons from the outside, but it's definitely closer to a truck look, with the maw-like grille and in the exaggerated wheel wells and sills. The shift plots it closer to the off-road-centric 4Runner in profile, and there's an SUV-ish style that runs exactly opposite to the trend in most other big crossovers (such as the Hyundai Santa Fe, Ford Flex, and Chevrolet Traverse). Overall, we like the look and especially the stance, and the Highlander's broad shoulders neatly avoid the more cartoonish aspects of the latest 4Runner. Inside, the Highlander skips past that ambiguity, and it's all car, with just a little bit of truck influence in the instrument-panel details. A large touchscreen is included on navigation-equipped models, but doesn't upset the cockpit's visual clarity, since most climate and auxiliary functions still have hard buttons, not virtual on-screen ones. The lines sweep from driver to passenger, but the focus is clearly on the left side—big gauges and large, easy-to-operate climate-control knobs are a welcome sight. Overall it's a pleasing mixture of lines and textures, with a large shelf that runs along the dash, opening up the feel of the interior and providing a great place to stash items like cell phones. The current generation of the Toyota Highlander handles better than previous versions of this family favorite. The 2016 Toyota Highlander offers 4- and 6-cylinder engines, and Hybrid models, with a choice between front- and all-wheel drive for much of the lineup. Across that lineup, the Highlander has some similar driving traits: it's smooth and generally fuel-efficient, but nothing to get all that excited about. We have a favorite among them, and it isn't the expensive (and heavy) hybrid V-6 model. 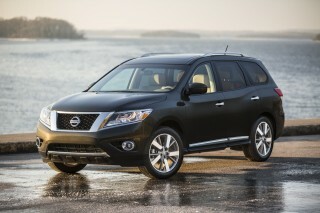 The base 2.7-liter inline-4 comes coupled to a 6-speed automatic and is offered only with front-wheel drive. It's smoother than you might expect from such a big-displacement four, and it makes a meaty 185 horsepower and 184 pound-feet of torque; yet that's really not all that much for a big three-row vehicle like the Highlander, and while it accelerates reasonably and smoothly, it can be taxed with a full load. Most models will come with the 3.5-liter V-6, with 270 hp and 248 lb-ft of torque; it's also teamed up with a 6-speed automatic, but can be paired with either with front- or all-wheel drive. 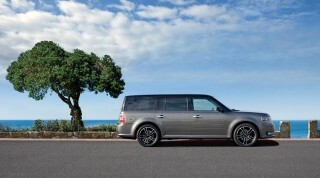 Even here, it's not the quickest choice in the class—you'll find a turbocharged Ford Flex or Dodge Durango V-8 is far quicker—but it's smooth, relatively strong, and surprisingly fuel-efficient. At the top of the powertrain lineup is the Highlander Hybrid; but before you think this is the best bet—as is the case for some other Toyota models, like the Avalon—think again. Here, somehow, it doesn't add up to very impressive performance (although mileage is a bit better, especially in town). There's a 231-hp version of the 3.5-liter V-6 and an electric motor in front and in back, netting 280 hp. The engine and front motor are liked to a planetary-type variable power-split device, like Toyota's other vehicles with Hybrid Synergy Drive. What makes this a bit different is that all versions of the Highlander Hybrid have through-the-road all-wheel drive courtesy of the rear motor, which means the hybridized engine/transmission power the front wheels, while only electric power passes to the rears. Yes, the mileage is better, but adding 350 pounds of mechanical gear drags on the Hybrid's acceleration brings the power-to-weight ratio back into the territory of the 4-cylinder model—and you have to drive the Hybrid very gingerly to get those great mileage numbers. Beginning this year, all V-6 (non-hybrid) Highlander models include a towing package that bumps up towing to 5,000 pounds; inline-4 versions are rated at a puny 1,500 pounds. We criticized how previous versions of the Highlander handled; but the current versions actually handle responsively and neatly. Toyota reworked the Highlander's front-strut and independent-rear suspension for better handling, and much of its substantial body lean was tuned out with its last 2014 redesign. Ride quality is no longer cushy, but it's on the correct side of firm for a vehicle in this size class, though we'd avoid the optional 19-inch wheels to keep the feeling of big wheel impacts to a minimum. A smooth, quiet ride and comfortable seats cover the basics, while better cabin finishes now provide more to satisfy the detail-conscious. The 2016 Toyota Highlander remains a vehicle that's quiet and calm, useful in almost every way you'd expect, and uncontroversial. It's around 191 inches long, with a wheelbase nearly 110 inches, which places it around the same length as a roomy mid-size sedan; yet there are three rows of seating—and space for up to eight in all. The front seats in the Highlander are quite good, although the hardware for the cooled seats slightly interferes with comfort. And to get power adjustment on both front chairs, by the way, you'll have to spend for the priciest Limited edition. A large tambour-covered console separated the front seats and back in row two you'll find either a three-person split-bench seat with a recline feature or a pair of captain's chairs. The standard power sunroof interferes with head room for those in the second row, so if you're tall you may appreciate the second row's recline adjustability. For general cargo usability, we miss the "Center Stow" seat Toyota offered in the previous Highlander. It had a section in the middle bench seat that tucked away into the console, creating a pass-through to the third row. Now there's a flip-up cupholder tray to fill the space left behind between captain's chairs on models so equipped. The new seat's less functional in that way, but it slides on a track for good adjustability. It can either nibble away its own leg room or increase it, taking up space from the reclining third-row seat. As for the third row itself, there's still not much head room back there, and nowhere near as much as in a minivan, rendering it a place for smaller offspring and few else, although two adults can squeeze in for short trips. Cabin refinement is top-notch, though. With each generation the Highlander has become nicer, quieter, and calmer, and the latest Highlander feels like a luxury vehicle inside, with thick acoustic glass damps powertrain noise, and insulation in the floor blots out vibrations, suspension chatter, and tire squawk. Soft-touch materials on the dash are rich, the wood grain convincing, the tray formed into the dash a truly useful spot for all kinds of small electronics. The look can be a bit busy with some trim and material combinations, but all said, it's come a long way versus the somewhat bleak interiors this model offered a decade ago. The three-person bench row folds flat and out of the way so the crossover can be loaded up: there's up to 13.8 cubic feet behind the third row, 42.3 behind the second row, and 83.7 behind the front two seats. It's enough for a set of bunk beds or quite the stock-up at the big-box stores. The Highlander is an IIHS Top Safety Pick+, and now includes a rearview camera system. The 2016 Toyota Highlander aims to be a great family vehicle, and based on a look at its safety feature set and crash-test results, it's achieved that goal. The Highlander includes eight airbags, as well as a standard rearview camera. Hill-start assist is also included. Thanks to moved pillars and bigger rear-quarter windows, outward visibility has improved in the current generation of the Highlander. The IIHS gives the Highlander top "Good" ratings across the board, which nets the Highlander a Top Safety Pick+ status. The available forward-collision warning system is the feature is what helps achieve rating; it earns an "Advanced" rating for front crash prevention from the IIHS. In federal testing, the Highlander earned a five-star overall score, with four stars for frontal crash and rollover testing and five stars in side impact. If you want a Highlander Hybrid, you'll have to go with the very well-equipped Limited or Limited Platinum models. The 2016 Toyota Highlander is offered in a very wide range of models, although there's a solid push to make the V-6 engine the bulk of the model line. If you want the 4-cylinder engine, it's only in a most basic, price-leading model, while the Highlander Hybrid is only offered in top Limited or Limited Platinum AWD models. In the base Highlander LE, for around $30,000, you get a premium cloth interior, a rearview camera, Bluetooth, a USB port, and Toyota's Entune smartphone connectivity. 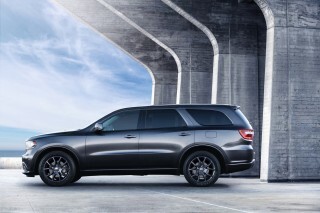 Those LE Highlander models ride on 18-inch wheels, and feature split-folding second- and third-row seats. Additionally, for 2016, all Highlander models with the V-6 engine include the Towing Package, which allows up to a 5,000-pound pulling capability. That includes a heavy-duty radiator, engine oil cooler, transmission oil cooler, 200-watt fan coupling, and 150-amp alternator. Above the LE, there's an LE Plus package, which adds three-zone climate control, a power tailgate with flip-up glass, satellite radio capability, and a power driver's seat. Keyless ignition, leather upholstery, heated front seats, a sunroof, and a universal garage-door opener are all part of the XLE's feature set, as is an 8.0-inch touchscreen system with navigation. A Blu-ray DVD entertainment system is also an option, and the second-row bench seat can be swapped for captain's chairs. The Limited is the only trim level offered with the Hybrid, although it is also available with the standard V-6. Limited Highlanders are equipped with 19-inch wheels; rear parking sensors, blind-spot monitors; second-row captain's chairs; heated and ventilated front seats; a power front passenger seat; and premium audio. A panoramic glass roof is an stand-alone option. In the XLE and Limited trims, a feature called Driver Easy Speak uses a microphone to pipe front-seat voices to back-seat occupants in Highlander XLE and Limited trims—making a shout at third-row kids a little easier, if no less necessary. Above that, you can add the Platinum Package. As such, the Highlander Limited Platinum includes the Driver Technology Package (Safety Connect, pre-collision with adaptive cruise control, and lane departure alert with automatic high beams); a heated steering wheel, a panoramic sunroof, heated captain's chairs, and (added for 2016) rain-sensing wipers. Gas mileage for the Highlander Hybrid is great by the ratings, although we haven't been able to match them in real-world driving. The 2016 Toyota Highlander Hybrid is the way to go if you're particularly energy-conscious—at least if you go by the EPA ratings of 27 mpg city, 28 highway, 28 combined. That said, we've had trouble reaching those figures in real-world driving. Very gentle driving will return numbers close to this model's city rating, although in highway driving, at normal U.S. interstate speeds, we've seen just mid-20s at best. Highlander V-6 models are the best bet, practically speaking, as they come with either front- or all-wheel drive and while they only manage 19/25/21 mpg in front-wheel drive form or 18/24/20 mpg with all-wheel drive. These models, from our experience, deliver numbers quite close to what they promise on the window sticker—so yes, if you cover mostly highway miles, there's no big benefit for the Hybrid. I replaced the Ford Escape Hybrid I had been driving since 2008 with this SUV. I was moving up from a compact to a mid-sized SUV and was not sure what I would be getting in the way of gasoline miles per... I replaced the Ford Escape Hybrid I had been driving since 2008 with this SUV. I was moving up from a compact to a mid-sized SUV and was not sure what I would be getting in the way of gasoline miles per gallon. In the Ford I could count on 32.5 mpg Spring & Fall (no heat, or A/C) and 28 mpg Summer & Winter (heat, and A/C). The Highlander Hybrid is bigger and heavier with a V6 rather than the inline 4. Both use an Atkinson cycle internal combustion engine rather than the Carnot cycled engine. I needed to increase the interior space, so I started my hunt with Toyota. The Highlander Hybrid is big enough and was a very comfortable ride. It has good visibility and maneuverability for my style of driving .... easy and steady. My style driving has also yielded good economy so far ... I figure I can count on 28 mpg combined city/highway (2/3rds city, 1/3 highway). I use a scangauge II and note 30+ mpg at 55 mph on the level roads here in California's Central Valley. I've noted 31 mpg driving up into the Sierra mountains and 38 mpg driving back down into the valley. I do not drive like most, as I drive in the right lane 55-60 mph. I also use the 'Pulse & Glide' technique of 'Hypermilers' much of the time. I an still learning the hybrid system on the Toyota and think the ECO and EV Modes will be really a plus for better gas mileage. The features of this SUV impress me. The trim and fit are very good. The touch is pleasant. Easy to load and unload, as expert reviews point out, the Highlander is a family vehicle. Four adults and a large service dog are easy passengers for hundred mile road trips. I even have some room for the dog's kit and picnic fixing for the 4 adults. The technology trim is a help. I most like the backup camera and warnings for traffic at the rear and in the 'Blind spots'. I am just getting to know the Dynamic Radar Cruise Control and think this can be a plus for aiding fuel economy as well as a safety feature. There are a lot of technical items to learn about. The Owners Manual seems 3 times as thick as the one I had with the Ford. It does take time to get through it all. So far the Navigation is pretty straight forward. I type in, or select a destination, and the computer gets me there. The user interface I find easy enough to follow without reading the thick manual for the details. My SMART phone is not compatible with the Highlander Entune system, which is not a problem as I bring my music with me. perfect vehicle for road trips and vacations. Plenty of room and an excellent ride .